Since it is National Ice Cream month, I couldn’t let July slip by without featuring a local NYC ice cream expert! 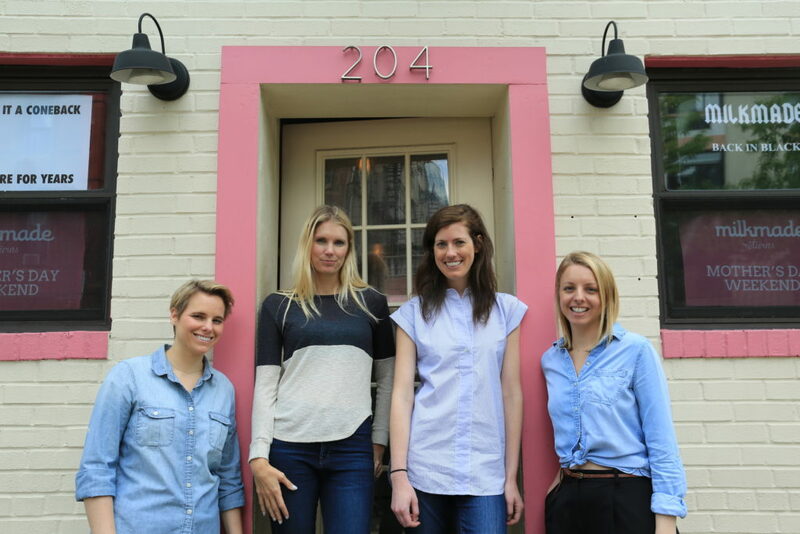 Diana Hardeman is the master mind behind NYC’s ice cream subscription service MilkMade. 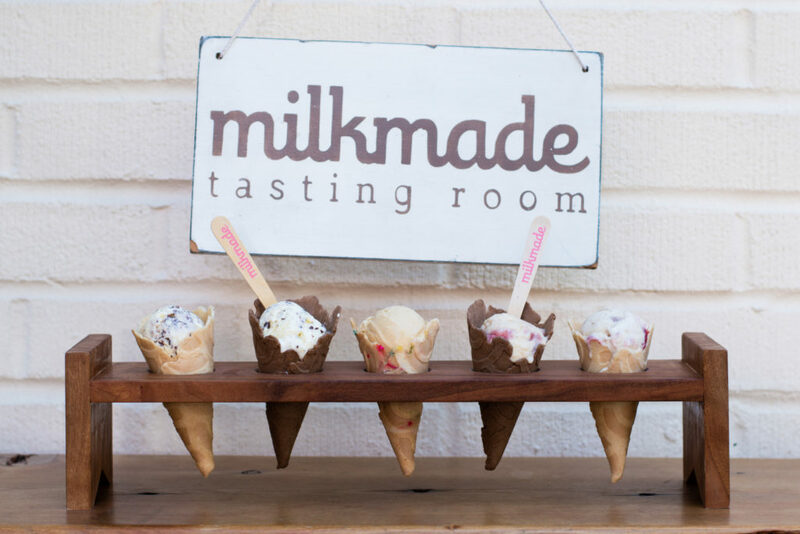 In addition to the subscription service, MilkMade has an adorable tasting room located in Carroll Gardens Brooklyn where you can try their unique flavors. All the ingredients used are locally and responsibly sourced. 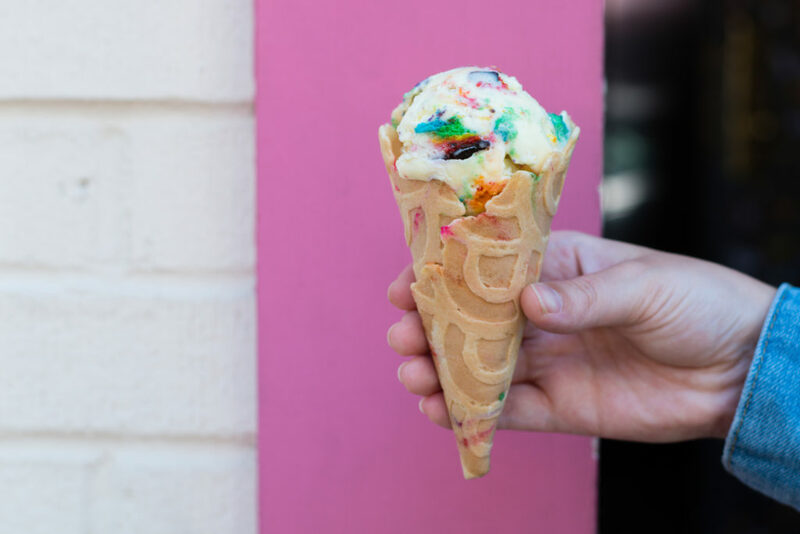 For the subscription program, you are hand delivered two new flavors of craft, small-batch ice cream each month. The company has promised all loyal subscribes that they will never repeat a flavor. With that said, they’re going onto flavor number #156! Now that is amazing. Read on for more about Diana and what inspires her creative (and delicious) work. Did you always work in food? If not, how did you end up in the food industry? Prior to starting MilkMade, I had no experience in food. Save for making cookies for friends from time to time. I worked as a healthcare consultant after college, and then moved to New York to get my MBA at NYU Stern, with a focus on clean tech. What was the first step you took to start your own business? MilkMade is what I call my “oops” story. I started making ice cream with friends out of my apartment in the summer of 2009 simply because I love ice cream, I was buying a pint a night from my bodega while in business school, but realized I wasn’t loving the brands that were available anymore. Pints had shrunk, the quality of ice cream had deteriorated, and flavors weren’t interesting for my growing palate. So I decided to make it myself as a fun side project. We got in touch with local farms to source great ingredients, dreamed up flavors and realized we could turn just about anything into ice cream. We served our creations to friends at parties. It turned out I made a mean pint, so word spread, some press pieces were published, and voila, we had ourselves a waitlist of hundreds of people who wanted their hands on our pints. So – I figured out how to actually turn MilkMade into a business and launched the Membership in December of 2009. How did you learn so much about the process of making quality ice cream? Trial and error! 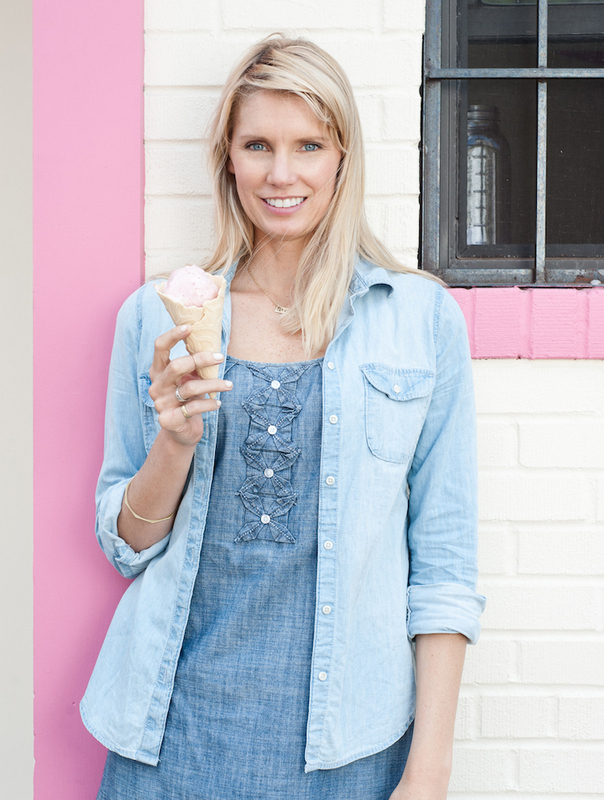 My very first flavor was peanut butter – and while it was exciting that I had created ice cream, the flavor was far from the peanut butter ice cream we serve today. At the beginning of ice cream making, I would test flavors endlessly, making up to ten iterations on a recipe until I got it right. When you started, you were a one-woman band taking on all the responsibilities from making the ice cream to sorting out the finances to running deliveries. That must have been overwhelming! What was the most difficult part for you? The most difficult part was exactly that – doing it all. Actually, the most difficult part was the exhaustion of physical labor. At the beginning, I rented space from a commercial kitchen share in Queens, with the hours of 6pm until 3am. I used to joke that if I didn’t wake up and feel like I’d been hit by a bus, I wasn’t working hard enough. How did you know when it was time to grow the team and how did you go about recruiting new members to join you in the journey? I knew it was time to grow from day one, once I decided to start MilkMade as an actual business. It’s crazy for one person to do it all. But when you are a bootstrapped startup, you often find yourself in chicken and egg position. I need to raise money to expand so I can get more people to do the work. But I need more people to do the work so that I can raise money to expand. All of your flavors are so unique. What inspires them? Are there stories behind the creation of each? Early on I decided that ice cream is the blank canvas and that I am the artist. As the artist, I don’t just throw paint onto the canvas and call it art. I have a reason, a history or an anecdote, for why I add each component to the canvas. Each of our flavors is accompanied by a story of how it was created, often there is a history of the origin of the flavor, or an anecdote about our local partners. For me, flavor inspiration is everywhere! Sometimes I’m inspired by what’s fresh a the greenmarket (Crummy Plum), sometimes it’s a family traditional recipe turned into ice cream (The Marzipan Pig), sometimes based on a cool cocktail I had (Grady’s Manhattan), sometimes it’s a holiday theme (Red Rum, Monster Mash), or even my favorite punk rocks songs (Rockaway Road, Rumble in Brighton). I know I’m doing it right if each new flavor we make is my new favorite. Right now, that’s Orchard Peach – a peached and cream ice cream with a cream cheese base. How do you source all of your ingredients? If we’re putting it in our ‘scream, it must be LOCAL. Locally produced, locally grown. If it’s not, it’s fair-trade, or sourced from family farms or small cooperatives. It must be RESPONSIBLY PRODUCED. Responsible. Not “sustainable”. Because there’s no such thing as sustainable. It must be MADE WITH THE FINEST LOCAL INGREDIENTS. Each mix-in must be produced in a SMALL-BATCH manner. It must be a SUPERIOR PRODUCT. The best around. And finally, it must come from CHILL DUDE with whom we are proud to partner and share their story. You’ve worked with amazing companies like Mast Brothers, Dough, and Brooklyn Winery on different collaborations. Was there a recent collaboration you really adored? 1. The Awkward Scone for The Pride Pint – We sourced his beautiful rainbow cookies for The Pride Pint, one of our June Seasonal ‘Screams at the shop. 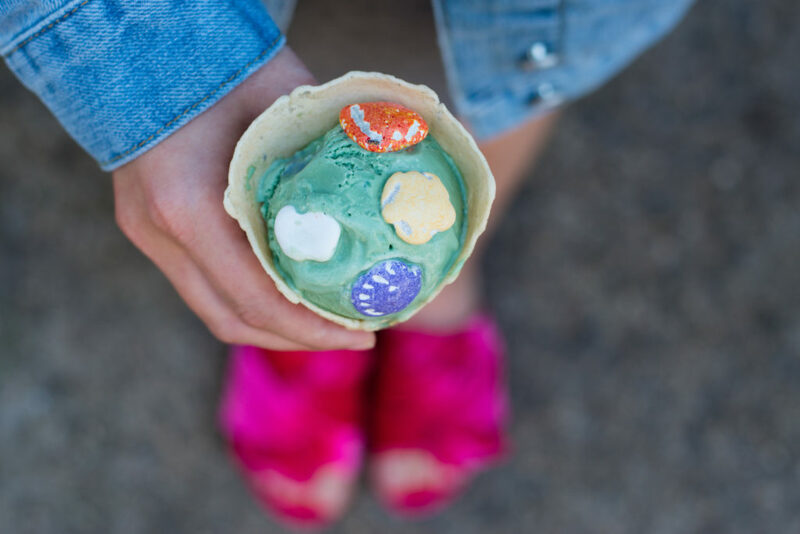 The cookies have every color of the rainbow, they’re delicious, and we paired it with our sweet cream ice cream. Proceeds of Eric’s rainbow cookies go to different LGBT organizations. 2. Empellon for Holy Mole – For July, we wanted to do an “all american” theme for our Membership, but decided that would mean showcasing different cultures that make up America. I had just been to Mexico City and thought a chocolate mole would make a mean ‘scream. Empellon provided us their striking mole sauce which we paired with our chocolate ice cream base and wow. Deep and delicious. 3. Seed + Mill for Havta Halva. Another of our All American ‘scream for July Membership was a halva ice cream. It was sesame ice cream with halva cake from Seed and Mill. Their cake is just so delicious on its own, but paired with our sesame ‘scream it was decadent. I polished off a pint of that one which is a rarity these days! If you were hosting a party and wanted to have an ice cream bar, what would you have on it? I am having a party soon – my wedding! And of course we are having an ice cream bar with our August flavors of the month (White Wedding – a white wedding cake ice cream with pieces of almond Danish Kransekake. and Cantaloupe – modeled after the Indian thandai dessert, this is an almond cantaloupe ice cream with spices). At MilkMade we do not do toppings. That’s because each flavor is its own work of art – everything that should be in it (or on it) is in it. What piece of advice would you give all the entrepreneurial spirits out there if they too want to run their own food business one day? Hehe, don’t. Only half kidding. Be prepared for a long road, a lot of work, a lot of criticism, but also a lot of reward when you can create a product that people truly love. Making ice cream truly is an art. You can play around with the flavors endlessly. 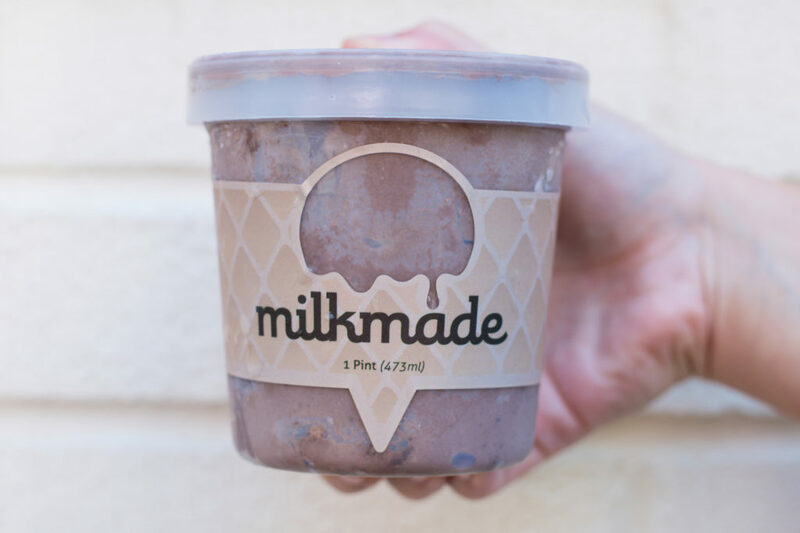 If you haven’t yet had the chance to try MilkMade’s interesting flavors then I highly recommend stopping by their tasting room whenever you have the chance! Their endless rotation of flavors each month really keeps things interesting. I also love how they partner with local businesses for collaborations. Personally, I’m already day dreaming about the white wedding flavor in August. Ice cream with chunks of white wedding cake in it sounds like everything I need right now.